A lawyer charged with defending a murder suspect who confessed to the crime begins to believe his client is innocent. Firing out modern classics and near classics at a rate close to a film a year over the last decade, Japan's Hirokazu Kore-eda has established himself as one of the greatest talents working in modern cinema. With last year's After the Storm however, some critics (not this one, for what its worth) began to complain that Kore-eda was becoming a little too comfortable in his family drama sandbox. I've never agreed with the idea that a filmmaker sticking to one genre makes them somehow less interesting, but I'm always intrigued when an auteur steps outside their comfort zone. 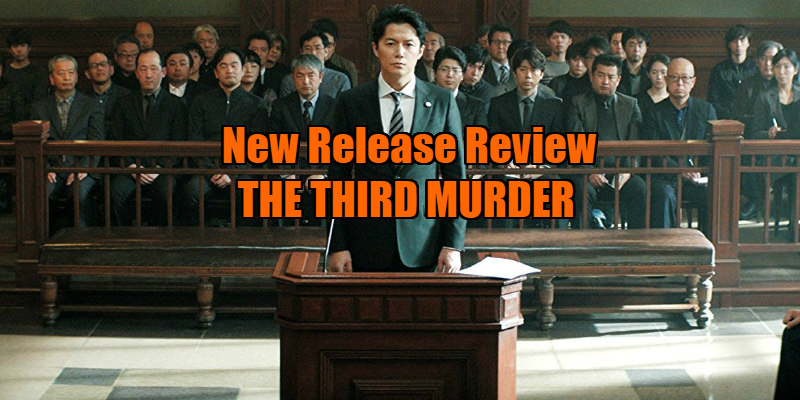 With The Third Murder, Kore-eda steps into the world of the legal thriller, and effortlessly delivers one of the best examples of the genre to come along in decades. Kore-eda opens his film with a scene of violence, a sign that we're in for something different from the master of sentimental drama. We witness food factory worker Misumi (Kōji Yakusho) bludgeon his boss to death with a rock before setting fire to the corpse. It seems like a cut and dry case when Misumi confesses to the killing, but as his lawyer, Shigemori (Masaharu Fukuyama), looks into the case and the various characters involved, he begins to doubt the guilt of his client, despite Misumi's insistence to the contrary. But didn't we, the audience, witness the murder? Or is Kore-eda an unreliable narrator who should be viewed with as much suspicion as the people Shigemori encounters in his investigation? In the past I've compared Kore-eda to John Ford. 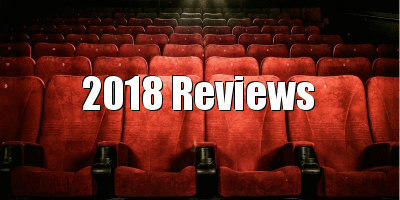 Both men are interested in protagonists who begin their films with a stoic worldview that becomes challenged through human interactions as the narrative progresses. Just as Ford would often have his cowboys engage in intimate conversations while on horseback, and thus avoiding eye contact with each other, Kore-eda similarly places his characters in a way that positions them parallel to one another (usually seated on the same side of a table during a meal), able to speak their thoughts without the discomfort of seeing a reaction to their words. We see this once again in a key scene in The Third Murder involving the murder victim's widow and his daughter, the mother embracing her child from behind as they discuss their thoughts on why the family patriarch was murdered, both at odds with the specific reason, both holding back. Like Rashomon, The Third Murder is a film about the nature of storytelling, and how we often believe a story simply because we want it to be true. It's Kore-eda's The Man Who Shot Liberty Valance, and the further his investigation progresses, the more Shigemori finds himself torn between printing the legend and printing the truth, to paraphrase that famous line from Ford's film. Plot has never played much of a role in Kore-eda's films - he's always been far more interested in his characters - but with The Third Murder he weaves an intricate plot that challenges the audience to pick it apart, perhaps futilely, like trying to unravel a bowl of ramen. That's not to say his film is difficult to follow, far from it. 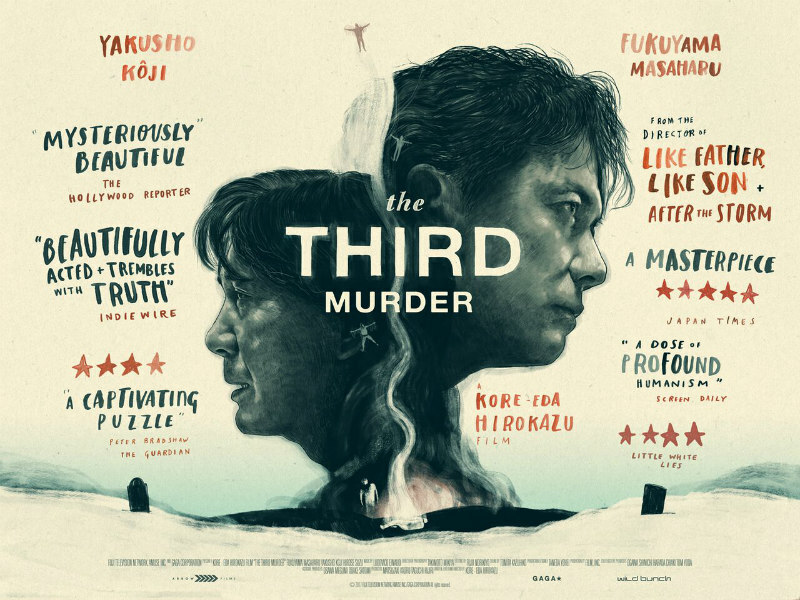 Like Kore-eda as a filmmaker, I'm generally more concerned as a viewer with a film's characters than its plot, and as a result I can often find myself losing a handle on the latter, but despite its complexity, The Third Murder's labyrinthine plot kept me fully engaged throughout. Perhaps that's because Kore-eda fuses his characters with his plot in a way that makes it impossible to separate the two. By drawing us into his characters, Kore-eda simultaneously draws us into his film's plot, as after all, his protagonist, Shigemori, is treading the same path as the viewer in trying to make sense of it all. Shigemori gains information not through clues, but through human interactions. Growing accustomed to cut and dried legal cases has led to him losing touch with the subtlety of human relations, costing him his marriage and souring his relationship with his teenage daughter. Forced to dig deep when investigating Misumi's seemingly senseless case opens Shigemori's eyes to the people he takes for granted. His mind is blown when, after being bailed out of a shoplifting incident by her father, Shigemori's daughter demonstrates her ability to convincingly fake a teardrop, opening his mind, both personally and professionally, to the idea that humans aren't always as easy to figure out as he previously believed. Unlike most thrillers, with their wooden stock characters, the people Shigemori encounters over the course of his investigation are just that - people. No matter how small a role they play, Kore-eda makes every single character feel like a living, breathing person with their own story playing out offscreen, from the landlady who gossips about her neighbours as Shigemori searches for clues in his client's apartment, to his fellow lawyer, more concerned with figuring out ways to write off meals as business expenses than with pursuing justice. There was a time when American directors like Sidney Lumet and Alan J. Pakula made movies like this, films that drew us in with the bait of a thriller plot and reeled us onto the shore with compelling characters and insightful subtext. If Kore-eda decides to explore this genre further, Hollywood's loss is Japan's gain. The Third Murder is in UK/ROI March 23rd.